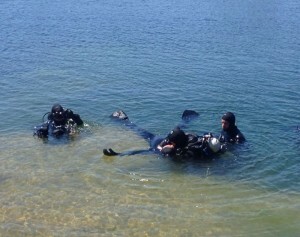 Cost: $350.00 + HST and includes PADI Rescue Diver Crewpak, Certification Fee. The PADI Rescue Diver Course is the bare minimum a recreational diver should achieve in their quest for certifications as every diver has a problem above or below the water at some point if you dive enough. Accidents are most likely to happen to new divers within the first 20 dives of their career, so knowing how to prevent and control problems will help you deal with obstacles in your way, or eliminate issues. Is only $350.00 + HST and includes PADI Rescue Diver Crewpak, Certification Fee. Want to know more about PADI Rescue Diver Course?